Time: Self guided tour from 11 am – 4 pm each day. Tickets: Admission to the popular holiday event is guaranteed ONLY with the purchase of a Lodging Package offered by a participating inn. Single tickets become available the week before the tour but are limited. Tour tickets are limited and available in advance by reserving a Lodging Package from participating inns, and this is the best way to secure a ticket for a weekend of trees, treats and treasures. 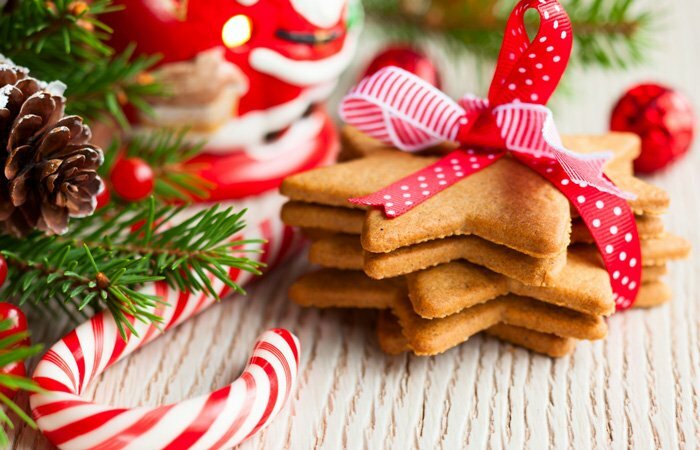 Join us December 14 and 15, 2018 for the weekend the Country Inns in the White Mountains provide holiday revelers with the ultimate in sweet dreams at the 23rd Annual Inn to Inn Holiday Cookie and Candy Tour® held from 11 am to 4 pm each day. Participants will not only tour inns decked in all their holiday finery offering signature holiday cookies and candies, but will receive recipes from each inn in a Holiday Recipe Cookbook to take home and a chance to win a $250 gift certificate for a getaway at the inn of their choice. Stay at one of the participating inns and you’ll also receive a keepsake ornament. Chosen by editors of New Hampshire Magazine as “The Best Sugar High”, $500 of the proceeds from the event will benefit End 68 Hours of Hunger (Established in New Hampshire in 2011, this weekend program puts nourishing food in the hands of school children to carry them through the weekend. “End 68 Hours of Hunger” is a private, not-for-profit, effort to confront the approximately 68 hours of hunger that some school children experience between the free lunch they receive in school Friday and the free breakfast they receive in school Monday). The tour stretches from Jackson to Eaton, NH, with eleven inns opening their doors to those in search of fabulous holiday treats, recipes and decorating ideas. No inn is more than fifteen minutes from the next, with many much closer. Inns participating in the tour this year include the Darby Field Inn in Albany; Inn at Crystal Lake and Pub in Eaton; Inn at Ellis River in Jackson; 1785 Inn, Cranmore Inn Bed and Breakfast, Eastman Inn, Samuel O’Reilly House, Old Red Inn & Cottages, and White Birch Inn in North Conway Village, Snowvillage Inn in Snowville, and Admiral Peary Inn Bed & Breakfast in nearby Fryeburg, Maine. Each of these eleven inns on the 23rd Annual Inn to Inn Cookie and Candy Tour will feature original holiday cookies and candies, along with exquisite decorations offering tour goers the bonus of taking home holiday decorating ideas as well as scrumptious cookies and candies for themselves. The participating inns have developed original recipes for everything from sweet to savory holiday treats, with each inn featuring new recipes for this year’s tour. Tour goers will take home recipes for the treats featured on the tour, in a Holiday Recipe Cookbook providing a keepsake collection of tested holiday cookies and candy recipes to use at home. View Newscenter Maine’s coverage highlighting the cookie tour that aired in December 2018 on Channel 6. Tour tickets are available in advance by reserving a lodging package from participating inns and this is the best way to secure a ticket for a weekend of cookie, candy and holiday tree fun. Those not wishing to reserve an overnight package may purchase tickets on or after December 1, 2019 for $35 per person by calling the Old Red Inn at 800-338-1356 or 603-356-2642. Tickets reserved by phone will be available for pick up at designated pick up locations. Tickets are limited. Please Note: Tour tickets are nonrefundable unless the tour is cancelled due to an extreme weather event. Join us in celebrating the 23rd year of this popular annual event!